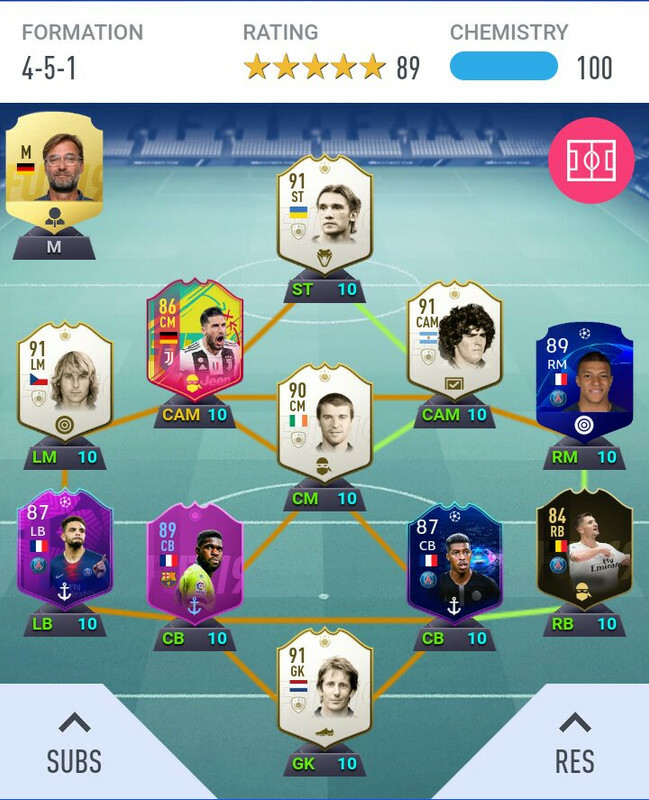 Switch Zlatan to ST, Reus to LAM, Stoich to CAM, Raul to RAM. 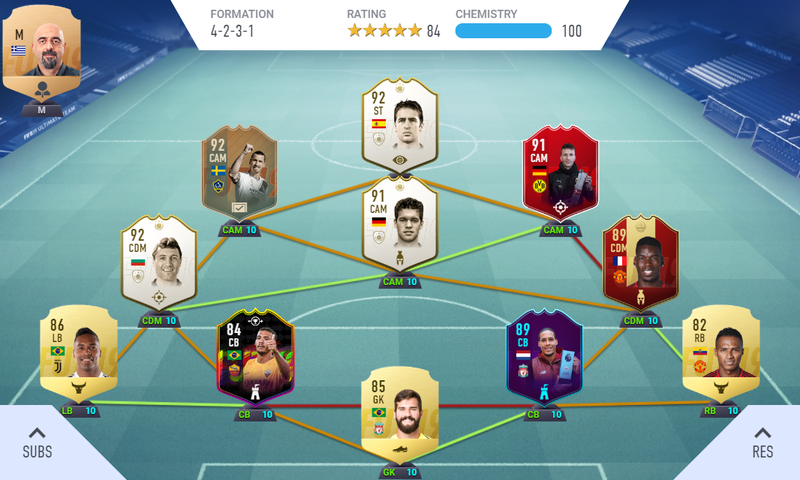 Sometimes play 4222 with Raul ST. Just added Jesus for 8 chem Manolas, hopefully he's an upgrade. 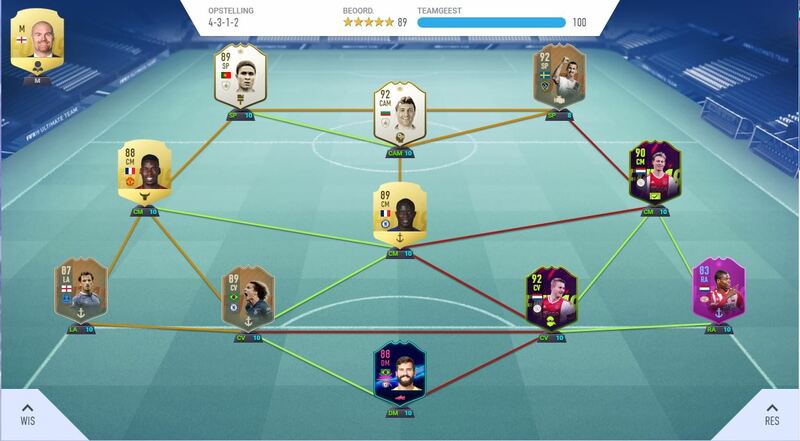 May replace Pogba with POTM Goretzka if he gets it. 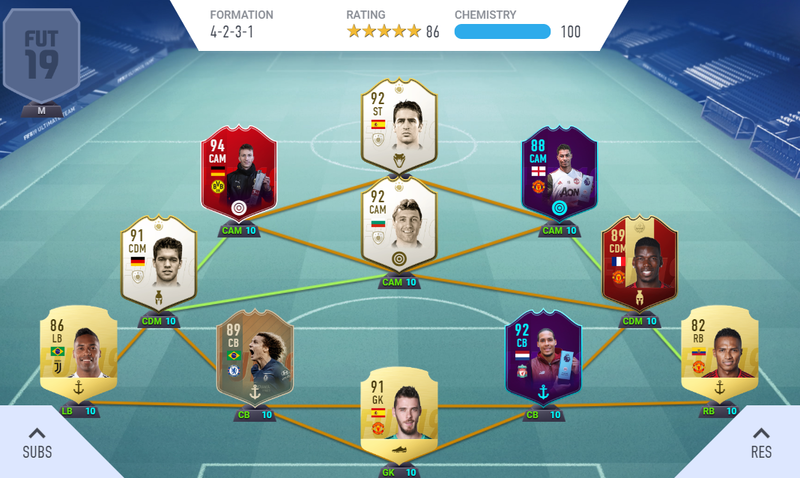 Not 100% happy with it as i think its quite boring having too many players from one club but itll do for now. 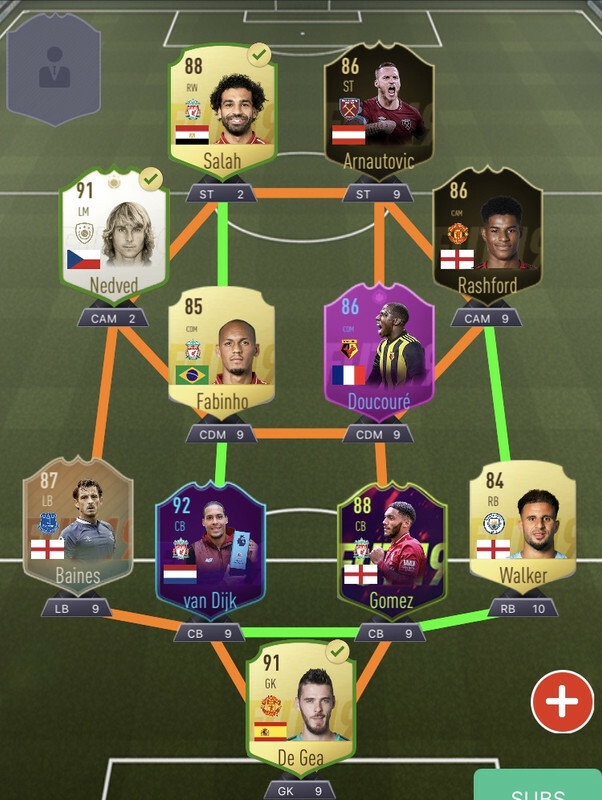 Suggestion between POTM Rashford or Prime Crespo? 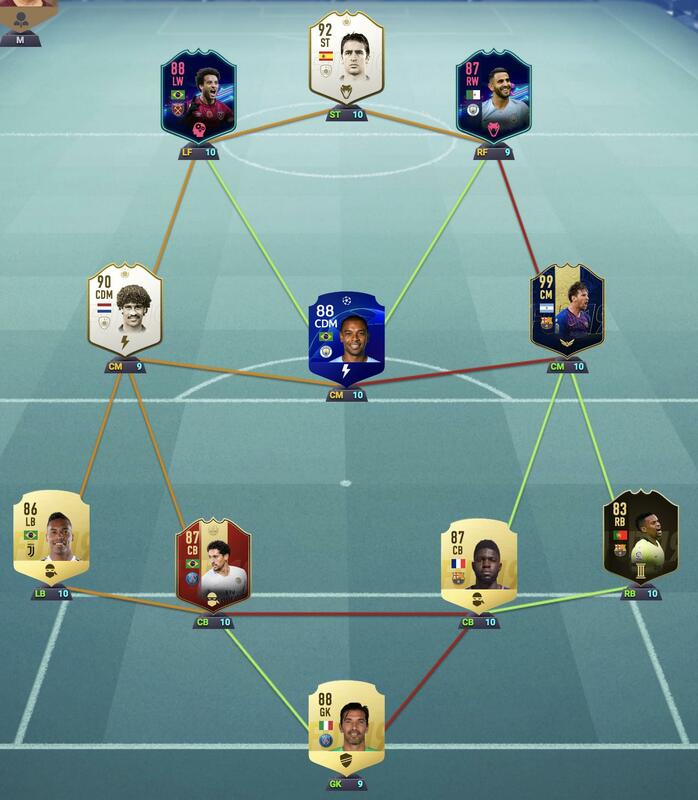 4231/433-4 in game depending on if I want to be aggressive or play more possession based. 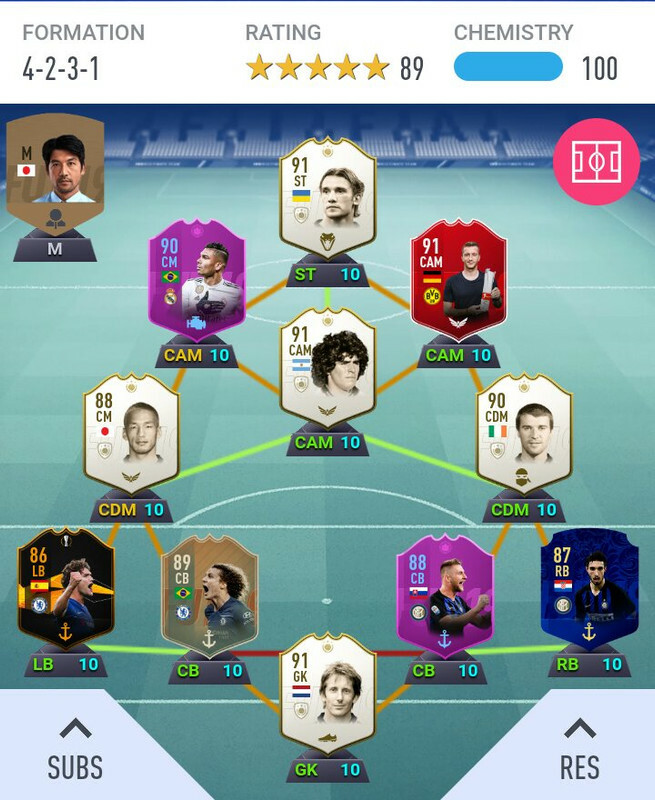 Fairly obvious but Messi CAM/Raul ST, Rijkaard/Fernandinho CDMs. 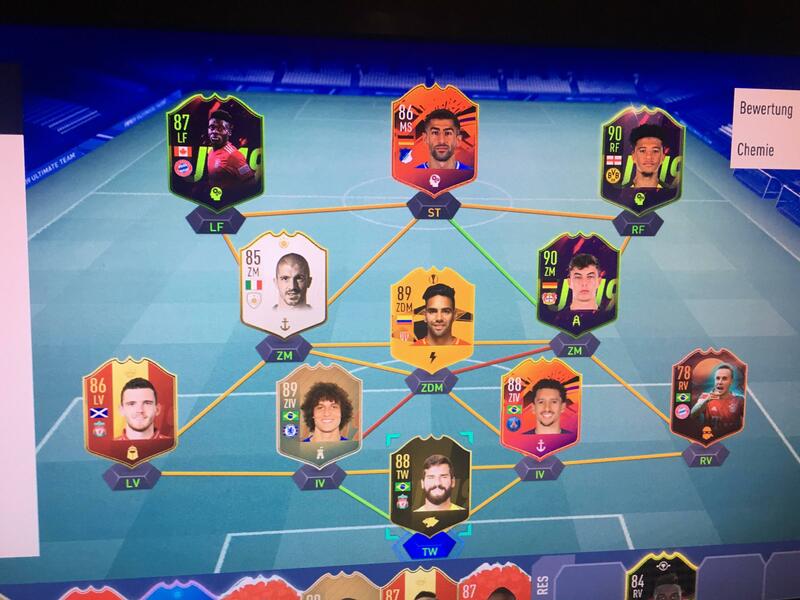 After selling my team like 5 teams this week I came up with this. 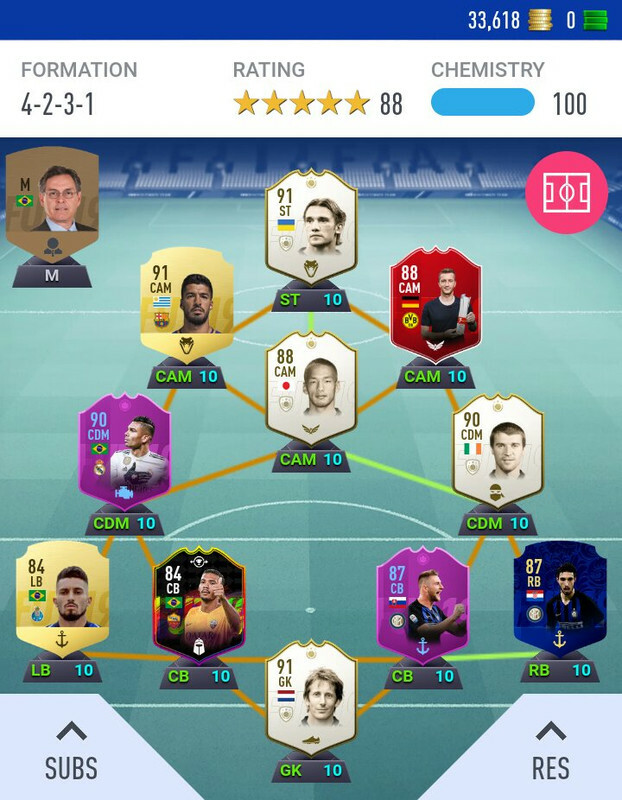 One of my best looking teams so far. Finally moved on from Zlatan after 240 games and 188 goals (he was around 1/1 after 100 games...). Miss him at times but pretty obvious he's just not good enough most games for me. 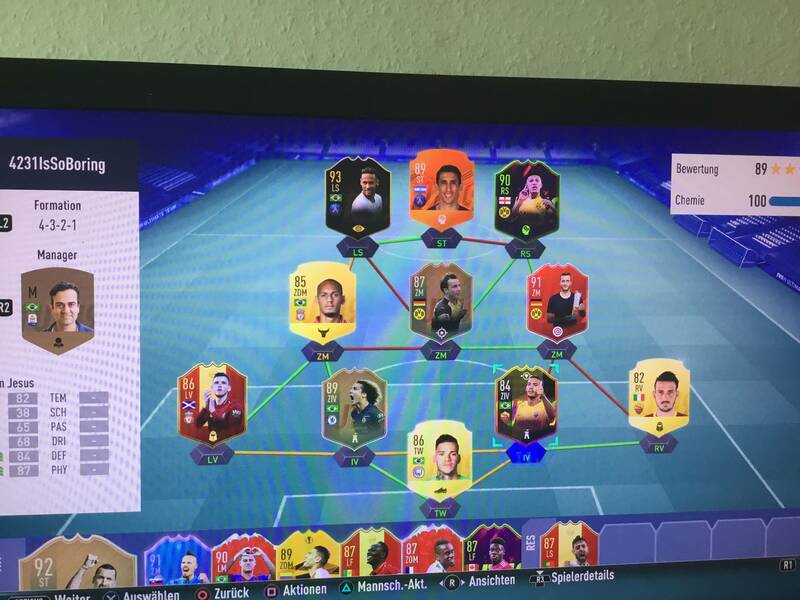 Rashford moves to LAM, Reus CAM, Stoich RAM. 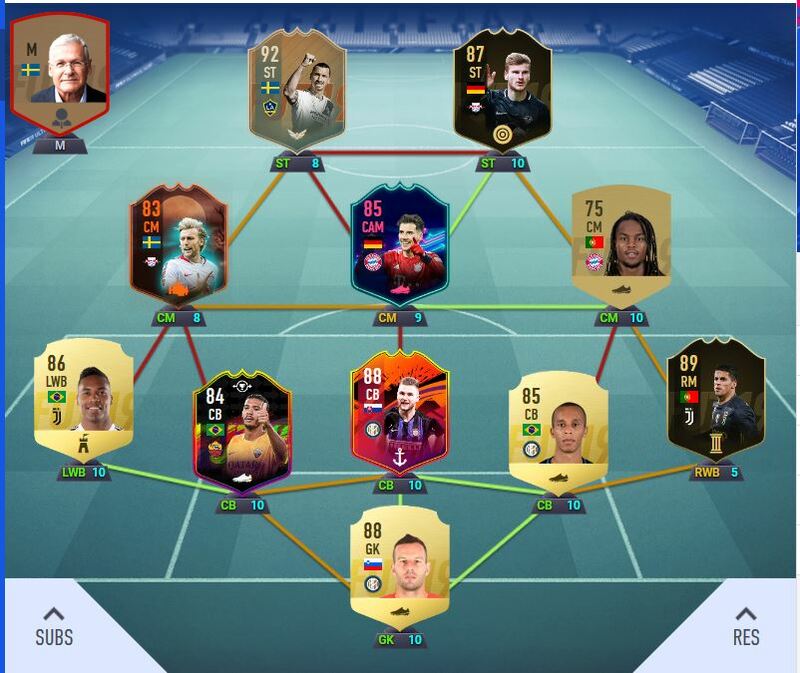 Play some 4222 as well with Reus at ST.
Only managed to play one game with it but felt immeasurably better. Not as good as most on here looking at some of these great teams but i like it and it suits me well. 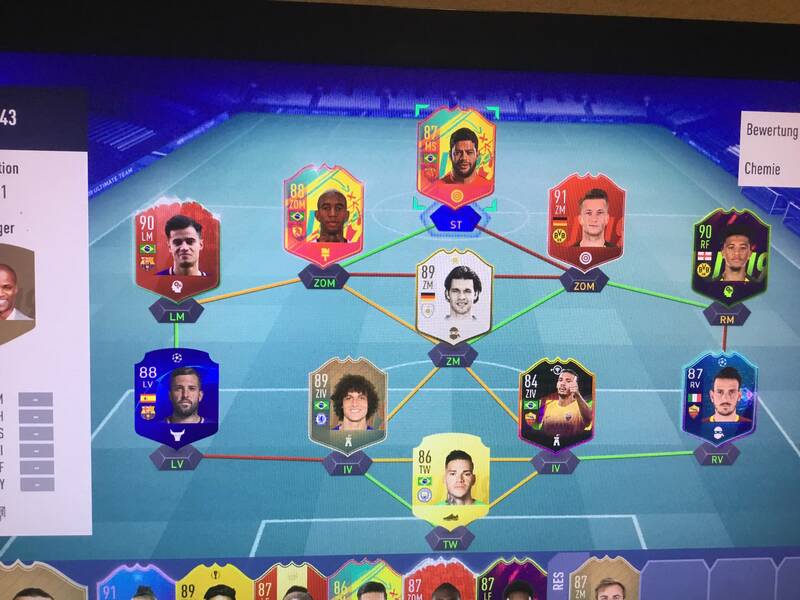 4312 in game, delaney fabinho witsel cms. 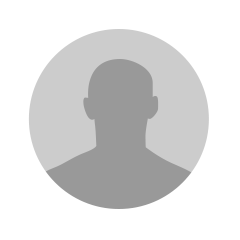 Best cam. 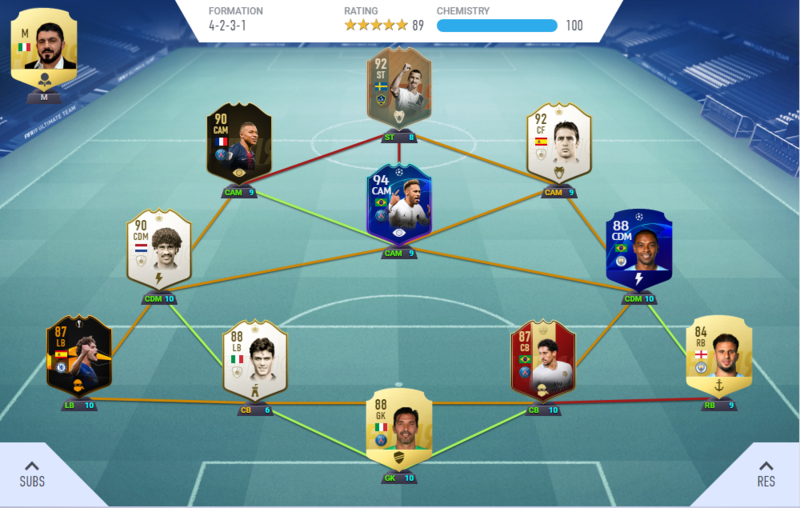 I was lucky to pack baby Eusebio with the base SBC. 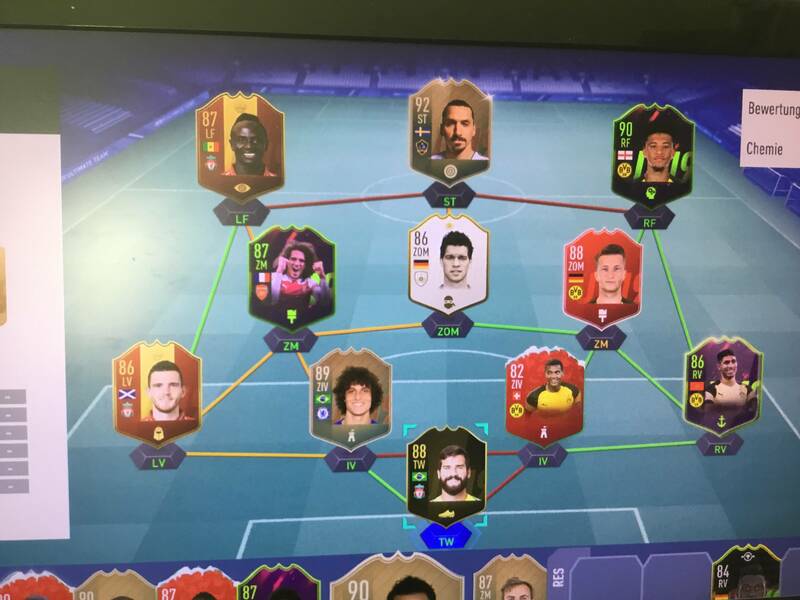 He is easily the best player I've ever used. 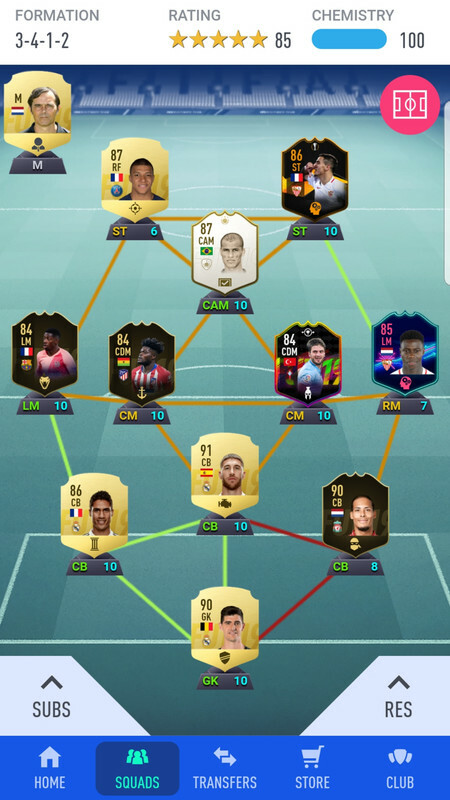 Alisson, FS De Ligt and Pogba are my only tradeables.